Mr. Nizami is a seasoned finance professional with experience in the field of corporate finance, financial advisory and financial reporting. He has extensive experience in the areas of financial modeling, valuations, feasibility studies, developing and monitoring financial reporting systems of companies. Before joining Equinox, Mr. Nizami was working in Integration Capital, a Saudi Capital Market Authority recognized Investment Advisory Company as Associate, Corporate Finance. His role revolved around providing advisory and fundraising support to hospitality, real estate, construction, contracting, and education sector projects. Prior to that, he worked with Zahid Tractor & Heavy Machinery Co., Saudi Arabia as Financial Analyst where he was responsible for consolidation of group accounts, monthly financial reporting, budgeting, variance analysis and preparation of periodic financial review reports. 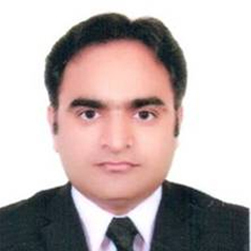 Earlier, he was with UHY International, Pakistan, as Assistant Manager Audit & Business Advisory where he was involved in various financial restructuring and feasibility study assignments. During his tenure, he also carried out a number of statutory and internal audit assignments of multinational and listed companies. He is an Associate member of the Institute of Chartered Accounts of Pakistan (ACA) and is a Level III candidate of the CFA Institute, USA.